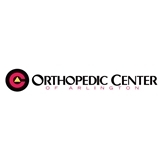 Orthopedic Center of Arlington (Arlington) - Book Appointment Online! At the Orthopedic Center of Arlington, Dr. Prager is committed to providing comprehensive care for our patients utilizing the latest in state of the art techniques and procedures. Located in Arlington, Texas, the Orthopedic Center of Arlington is devoted to the care of the musculoskeletal system. This includes the treatment of non-surgical and surgical problems involving bones, joints, ligaments, muscles, nerves and spine. It went very well!!' The appt was for my husband & he appreciated Dr Prager's honesty & straight forward manner. Dr. Prager answered all questions pertaining to the visit.